Thank you for visiting Copper “ Baby Impressions Artwork - Set of Two (2) Keychain Tags ” – a Copper Art Designs production. 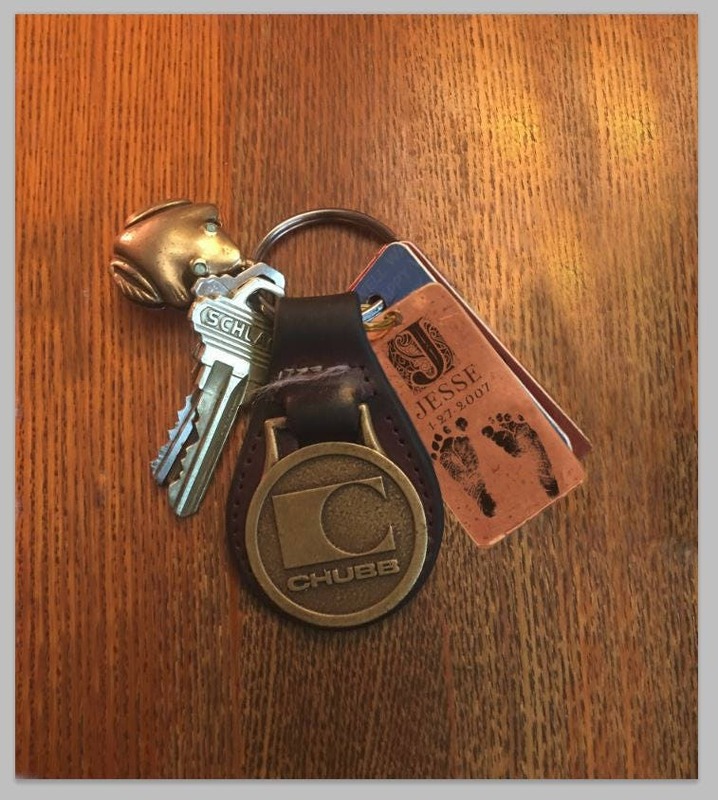 If you are looking for a unique gift for a baby shower or a memory of your own baby's birth, the Copper Baby Impressions Keychain Artwork is a wonderful keepsake of that special event, personalized with the details of the new life that has been brought ivnto the world. The Copper Baby Impressions keychain artwork tag estimated dimensions are 1.25 x 2 inches. 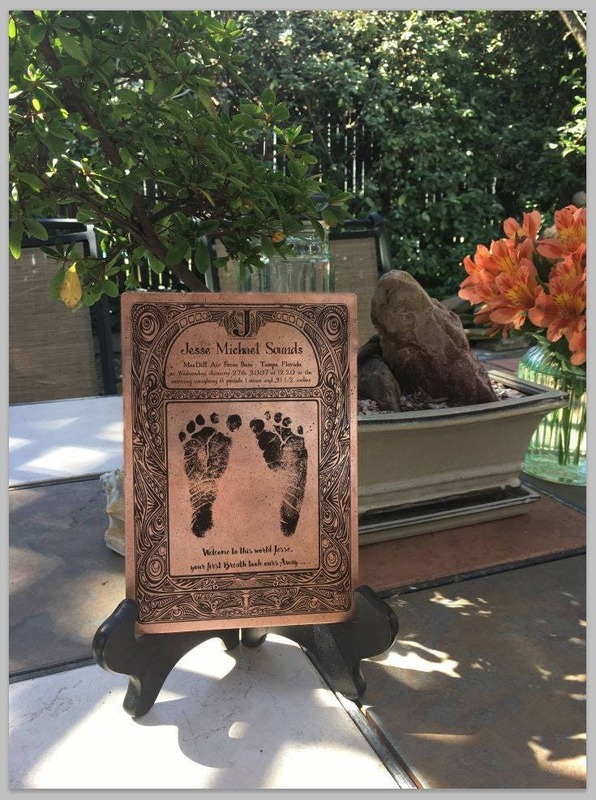 Our Copper Baby Impressions Artwork are a truly special gift that is personalized for your baby, for you or a loved one. It will be treasured and will remain a fond lifetime reminder of that special birthday. 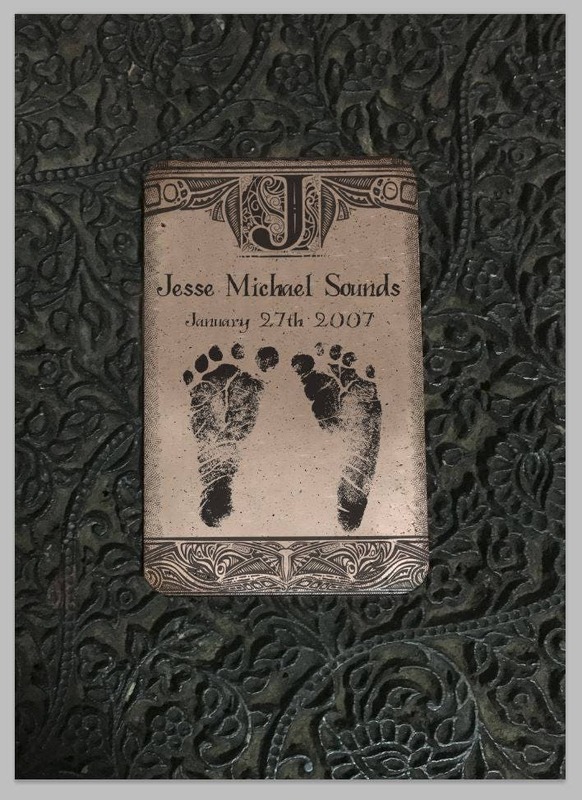 These are completely customizable impressions that beautifully capture your baby’s precious small size hands or footprints. They turned out great!! Thank you!! Quick shipment & the artist worked w/me on the design I wanted! Turned out great!